Harvard University Press, 9780674654549, 462pp. China's bold program of reforms launched in the late 1970s--the move to a market economy and the opening to the outside world--ended the political chaos and economic stagnation of the Cultural Revolution and sparked China's unprecedented economic boom. Yet, while the reforms made possible a rising standard of living for the majority of China's population, they came at the cost of a weakening central government, increasing inequalities, and fragmenting society. The essays of Barry Naughton, Joseph Fewsmith, Paul H. B. Godwin, Murray Scot Tanner, Lianjiang Li and Kevin J. O'Brien, Tianjian Shi, Martin King Whyte, Thomas P. Bernstein, Dorothy J. Solinger, David S. G. Goodman, Kristen Parris, Merle Goldman, Elizabeth J. Perry, and Richard Baum and Alexei Shevchenko analyze the contradictory impact of China's economic reforms on its political system and social structure. 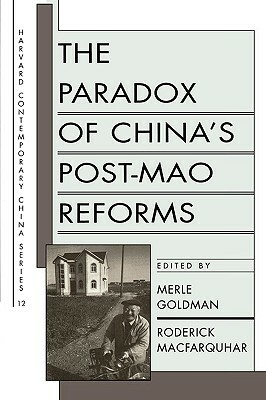 They explore the changing patterns of the relationship between state and society that may have more profound significance for China than all the revolutionary movements that have convulsed it through most of the twentieth century.